You are planning to travel on Alaska Airlines at Palm Springs Airport for SeaTac in Seattle WA, what do you do with your medical marijuana (MM)? Here are important things you need to safe guard yourself from being arrested. If you have recreational marijuana (RM), leave it at home. You can purchase what you need when you get to WA. MM can be concealed in your carry-on bags. If you are planning to do this be sure to take your original Recommendation Form. Federal law trumps State law when traveling across state lines, being in airports or on an airplane. 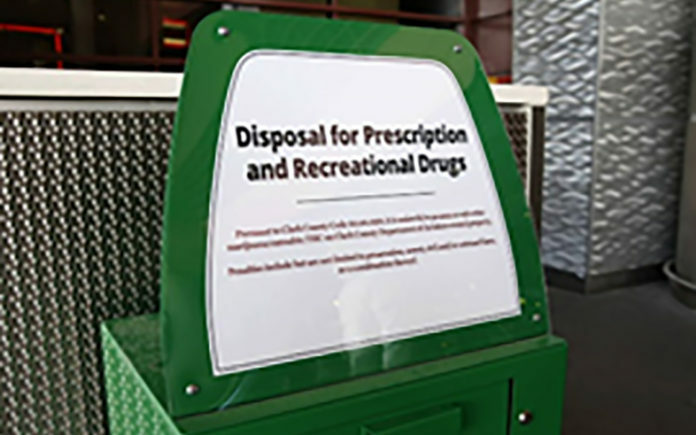 Some airports like NV and AZ are offering amnesty bins to dispose of your marijuana. The bins are bolted to the concrete, can only allow disposal not retrieval from the bin and there is a contractor who disposes of the contents. Do research before your trip to see where you can purchase your needed product. You can also if you dare, cross state lines to purchase MM from a state that is adjacent to a state that you are traveling to. ID, IN, and UT are bordered on three sides by states that legalize MM. Indiana approved of CBD for children with epilepsy in 2017 but confiscated over 3000 CBD products in the first few months. Regulations are fuzzy due to poor legislation in the State of LA. MM was legalized in 2015 but the law stated the physician had to write how much you are taking and how often just like a regular prescription would for any other drug. But the federal government labels marijuana a Schedule I drug which physicians are prohibited from prescribing. In 2016 a new bill was passed to say the physician recommends MM, but the bill did not legalize cultivation or distribution. This means in the State of LA there is no access to acquire MM proving again the states are not learning from each other when passing these laws; another argument for federal reclassification. There are three states set to have legalization of marijuana on the ballot in 2018, MI, UT, VI, and OK, (approval rating is 27-62% depending on the measure, 75%, and 94% respectively). VT legalized MM through the legislation in January of this year. NJ is working on several bills through the legislation. Fifty-nine percent approve of MM in New Jersey. Health Montgomery, the airport spokesman for Denver International Airport in 2015, stated that the T.S.A. stopped just 29 out of 54 million passengers who went through the airport. As long as the amount was legal for personal possession in CO, the local police simply asked the flier to dispose of it, either by throwing it in the trash or taking it home. At the Jacksonville International Airport in MS, Michael D. Stewart, in 2016 stated that 11 out of 2.8 million passengers who were screened had MM. They were arrested and given a notice to appear in court. T.S.A. is more interested in screening for guns, explosives or anything that will blow up an airplane. The dogs are trained to sniff for explosives, not MM unless they are in a border town or international flights looking for smuggling drugs. Even if they find it in the luggage they are not looking for personal use. Both of these T.S.A. spokesmen were stating their views when they were working under the Obama Administration. Caution should be observed now with the Trump Administration. Be discrete when traveling with MM. It is still important to research the state laws where you are traveling. CA has the longest history for legalizing MM. Other states are going through growing pains. It is more important than ever to educate our legislators to the benefits of MM in this election year.